The plot of any Hollywood biopic usually follows the same line: There is this guy who has all this potential in him (insert whatever skill he's good at here) and then there is his family and all the problems that come with it, holding him back. He somehow manages to practice his craft despite his difficulties and his circumstances while at the same time maintaining a completely redundant (to the plotline, that is) relationship with his girlfriend. The girlfriend typically is either a bartender/college dropout/prostitute/choose-your-choice-of-deadbeat-job who had dreams but had to give them up because life happened but she still hasn't lost hope. Then those familial problems (which I call the familial dementia syndrome characteristic of any Hollywood movie trying to depict family problems) implode and the inspirational person is left depressed and without reason to live. He falls into a mire of depression and self pity, distances himself from his family and generally becomes a loner. It's at this point that the previously redundant love interest serves the one and only purpose it was meant to do, restart the movie. The girlfriend, disgusted that now there are two deadbeat people in the same relationship, kicks some sense into the man. The inspirational person then discovers that he still can do whatever it is he can do and this time, he goes at it strong and rises to general awesomeness that culminates in a final display of his skill in slow motion while the camera blurs details out (other than his face). And then the movie ends. Any Hollywood biopic would follow this plotline. And The Fighter does so too; except it has Christian Bale in it, which makes it worth watching. The Fighter is about Micky Ward (Mark Wahlberg), a struggling welterweight boxer who ____ (insert what I wrote about the Hollywood biopic plotline here and then you have a general description of the movie). And his family consists of his mother Alice (Melissa Leo), who is also his manager and his brother Dicky (Christian Bale), who is his trainer. He has a girlfriend Charlene (Amy Adams), who is predictably, a bartender/college dropout. While on the surface the movie sounds exactly like any biopic out there, and to an extent it is exactly like any biopic out there, the differences from the norm are mainly due to the parts played by Melissa Leo and Christian Bale. Leo delivers the character of Alice flawlessly and you find yourself alternatively hating and admiring this woman. Christian Bale on the other hand, takes the cake. He plays Micky's drug addicted brother Dicky, who used to be a star boxer himself until he became an addict. Most of you are probably imagining Bale as the person you saw in the Batman movies and the more recent Terminator fiasco. Well, he's as far from Bruce Wayne and Connor as can be humanly possible. The very first scene of the movie opens with a stick thin unrecognisable Bale sitting on a couch speaking in an accent so fine you'd be hard pressed to link him to the characters he played in previous movies. And throughout the movie, you'll find yourself forgetting that this is an actor depicting a part, you'll come to truly hate Dicky for all the problems he's causing. For any actor, to achieve this level of belief in his depiction is an achievement. And for that Bale gets my nod for the Oscars; no matter who gets it when they actually hand out the awards. Amy Adams plays a forgettable role as Micky's girlfriend. Marky Mark, predictably hogs the screen most of the time and consequently (thanks to Wahlberg's deplorable acting), you might find yourself wondering why you're even bothering watching the movie. That is until Bale makes an appearance. The Fighter is exactly the kind of movie Hollywood raises on a pedestal, thanks to its predictable plotline and rags to success story. But thankfully, this time around you get to see snatches of some very fine acting. If by chance, you're a fan of feel-good biographies, then watch it. If you like watching some serious acting, you could give it a try. If you happen to hate biographies because of their predictability and their general lack of good acting (like me), still watch it. For Bale. In order to write something manly in the Valentine's issue, I picked romances in gaming. Now, sitting in front of the keyboard with only a few words across the screen, I'm not too sure about this topic's manliness factor. Let's continue, if we must, in listing the uhh memorable and uhh interesting romances in games that uhh some person somewhere has played and sourced the information back to me. Any Final Fantasy Game-from I to XVIIIIIIIIIIIIIIIIIIIIIIIIIIIIIIIIII: Two of the characters in Final Fantasy VI, Celes and Locke has a budding romance, and apparently there's a very emotional scene that some “gamers” find very “emotional and heart wrenching”. Then there's the uhh burgeoning relationship between Yuna and Tidus and apparently they have a very good chemistry that leads to what some “gamers” call the most “powerful” ending ever in a game. Time to add some more “III's” to the start of this paragraph so that I can increase my word count. 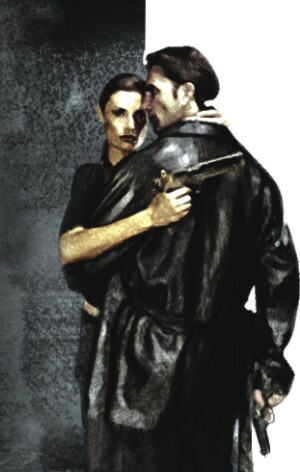 Max Payne 2: Max and Mona Sax were introduced in the original Max Payne game, where she tried to kill him but ended up sparing his life. In the sequel, Max and Mona again cross paths, this time, Mona has been hired to kill Max, but he doesn't know it. As Mona embarks on a revengeful quest, Max tags along, with a strong bond forming between them. At one point in the game, Mona is ready to finally kill Max Payne, but realises she has feelings for him and spares his life a second time. Since this is a circa 2003 game, I'll go ahead and ruin the ending for you: if you play in the hardest difficulty, Mona survives in the end and everyone lives happily ever after; in any other difficulty the game ends with Mona's blood soaked corpse in Max's hands. Oh no!! Boohoo. Why God Why? HOAY? HOAY HER? Metal Gear Solid: Is it funny to anyone else that one of the biggest romances in Metal Gear Solid involves a dude who's codename is Nekkid Snake? 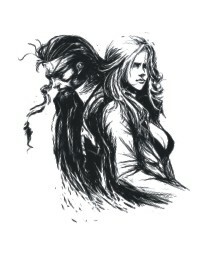 Anyway, EVA and Snake meet in Operation Snake Eater in God knows where for God knows what purpose. The MGS series storyline has been muddled up so much in the past few years; we have no idea where this romance happened. All we know is EVA is a triple agent, working for the Russians, Americans, and the Chinese simultaneously. According to protocol, she must kill Snake in order to protect her cover, but due to her deeply rooted pheelings for him, she just leaves a tape explaining her situation to him and telling him why they can't be together. What a wuss Snake is. A girl broke up with him, and not even to his face. I guess his morale was already low, what with serious faced generals and diplomats calling him Naked Snake all the time. Prince of Persia Sands of Time: Sands of Time is the best Prince of Persia game till date. Not because of the unavoidable love affair part that comes with calling a game “Prince of Something”. In this case, our mighty Persian Prince is struck by Indian Princess Farah. Which isn't absurd at all, since Farah is like a hugely popular name in India. At least it wasn't Jasmine. Whew. If you'll kindly watch the stupid movie, it's actually a pretty accurate description of their luuuurve, but little else in line with the game. Oh, and did I mention this happens over and over again in subsequent games? One annoying thing that occurs with rolling back time is you have to keep falling in love again and again. Just get married, have a couple of kids, get fat and for God's sake, please, please stop running around, on, up and down walls so much. Halo: The best gaming romance of all is between Master Chief and Cortana in Halo. Master Chief is a super soldier, the last of his kind, with a very cool sounding “training tag”: Spartan II. Cortana is an AI which seems to be everywhere. The bond between Chief and Cortana continues to grow with each game, with the two of them forming quite a lethal team, taking down coalitions of alien races and some really freaky viruses. Master Chief is as manly as can be, Cortana is the perfect girl an AI can be - she's cute, good with her head, and knows when to shut up. No flowers exchanged, no gooey love songs, no mushy “I love your exoskeleton to bits, Master Chief” stuff here -just the way it should be. Honorable mentions: Mario and Peaches, Mario and mushrooms, Mario and his mustache. They say if you take Skins, mix it with the basic flavour of Heroes, add a little bit of Dexter to the concoction, and a bit of dark humour, you've got Misfits. We believe Misfits is far better than each of these shows individually. You can surely ask why, and here is your answer. Because Misfits is refreshing, funny and relatable, without ever becoming too complicated or showy. The story: A group of kids doing community service for anti-social behaviour get caught in a freak storm. And in keeping with the common superhero trend, the storm gives them all superpowers. Except, they aren't superheroes. They have no control over their amazing powers and they have little interest in saving people. It is not a “coming to terms” and “spreading wings” story; somehow it becomes very instinctual. It's survival, up close and personal. Because the powers they get are based on their own personalities: the shy guy is invisible; the athlete who got arrested with cocaine can turn back time. The show basically revolves around them trying to 'fit' their powers into their lives. These misfits of society come from rather different backgrounds of the English society. There's Kelly the midlands chav, Curtis, the abovementioned athlete, Simon the shy nobody, Alisha the party animal and this reviewer's personal favourite, Nathan the blabbering, goofy guy. To their surprise, they find that among these 'misfits' they fit in the best. And obviously nothing is complete without a few 'accidental' murders. The best thing about this show is it doesn't pretend to be anything. It's hilarious and ruthless at the same time but you'll never catch it being pretentious. It tries hard to be a good show, the special effects, the music and screenplay is a testament of that, but it doesn't pretend to be better or grander than it actually is. The characters in this series are really just kids who have grave doubts whether their powers are actually 'super' or not. This is where it differs from Heroes and all the other shows of its kind; it might not have their budget that gives them the sheen of credibility, but it's got heart. Americans should not remake this show because it's way too good to fit into the category of teenage superheroes who talk like 30 year olds. It's too deep-rooted in reality for that to happen. Why wouldn't you watch this show? There really is no excuse. It's charming, heart-warming and the two season finales are genuine cliff-hangers. It's a shame they only have six episodes per season. Oh, and since it's a show about teenagers there are some pretty explicit stuff going on.